It’s a season of being thankful for your loved ones. 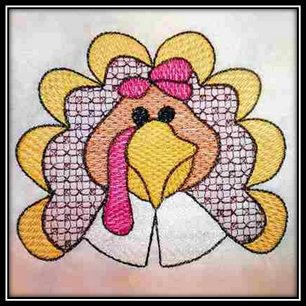 We’re listing up our 5 best Thanksgiving embroidery designs that will sew up easily and help you get ready for Thanksgiving this year. Cornucopia Of Thanksgiving Dangler set is digitized by designer “Sewaz Designs.” It’s a perfect gift to give your guests on Thanksgiving, to decorate your entryway door or to give as a housewarming gift. This dangler set is available in the hoop size of 5×7. Additionally, a complete set of instructions is also available to create this lovely project. 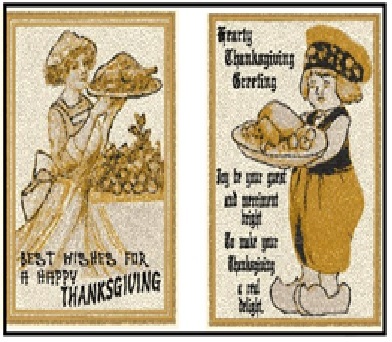 Thanksgiving Quick Set is digitized by designer “3 Bells Embroidery.” This set sews out quickly with each design requiring less than 10,000 stitches. The designs are very lacey in appearance and go well on any Thanksgiving decorations or table linens. 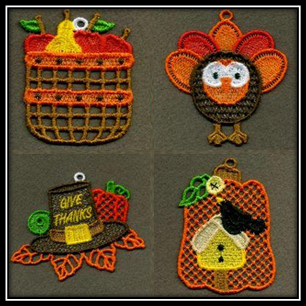 These Thanksgiving machine embroidery designs are available in the hoop size of 4×4. FSL Thanksgiving Ornaments set is digitized by designer “Ace Points.” These ornament designs are perfect for table runners, table covers, kitchen towels and more. They are available in the hoop size of 4×4. Get these designs to decorate your home on for Thanksgiving. 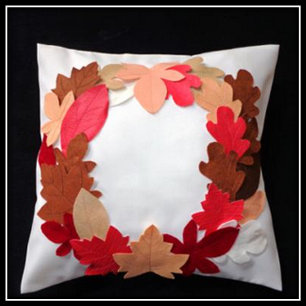 Fall Leaves Pillow set is digitized by designer “Embroidershoppe.” It’s a great addition to your Thanksgiving lounge decor or on a bench at your front door. This set features 4 different types of leaves including fig leaf, maple leaf, oak leaf, and beech leaf. These fall leaf designs are available in the two different hoop sizes 4×4 and 5×7. 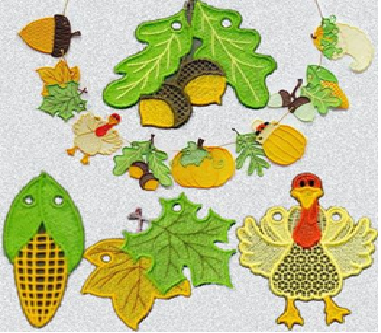 FSL Thanksgiving Ornaments 2 is digitized by designer “Sweet Heirloom Embroidery.” Need some last minute decorations for your table? 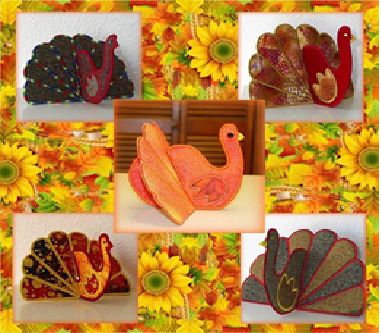 You will be pleased with ‘FSL Thanksgiving Ornament set.’ These designs are perfect for your table covers, cushion covers, hand towels or a fun necklace for teens. They are available in the hoop size of 4×4. 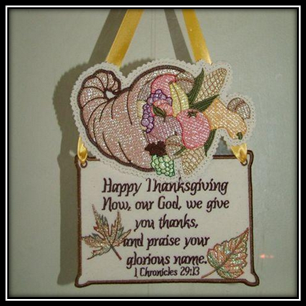 Do you have a favorite Thanksgiving machine embroidery design? Share with us in the comments below. For more designs, you can always visit OPW – where YOU are always #1. Being surrounded by family, friends and loved ones is a gift in itself. Without them no celebrations, occasions, and events have meaning and make sense. On Thanksgiving Day, most people gather with their near and dear ones, creating an atmosphere of warmth, comfort and family. It’s a time to acknowledge the blessings that God has showered on us with each passing day. We all have much to be thankful for in our modern, convenient lives and Thanksgiving Day is the perfect time to share this with others. It’s a time to be with family, friends and loved ones, focusing your time on sharing, enjoying time together and appreciating each other. Many people enjoy decorating their homes for Thanksgiving, Fall and Christmas. This year, have fun decorating with fabric art, using machine embroidery designs. 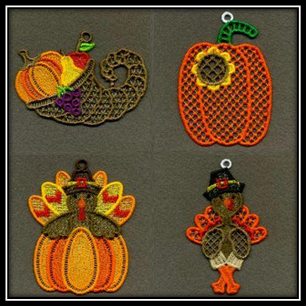 OregonPatchWorks is one of the best sources of machine embroidery, including Thanksgiving Day embroidery patterns. Here is the list of 10 machine embroidery patterns that you can buy from OPW Mall for your Thanksgiving decorating this year. 1. 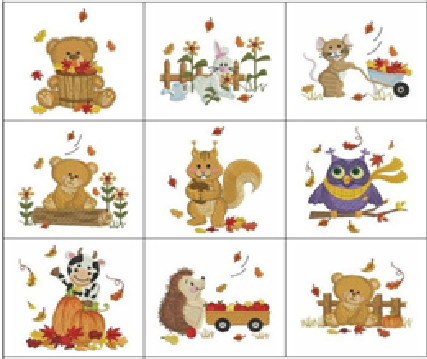 Autumn Animals – Sweet Heirloom Embroidery has the cutest set of little Autumn Animals playing in the leaves of Fall. Perfect for a lap quilt, book bag, sweatshirt or baby book. These embroiery designs are for the 4×4 hoop. A big discount is offered now! 2. Give Thanks – This is an amazing embroidery collection by Daffy Down Dilly. Give Thanks can be used to create attractive apparel for your kids or a cute table runner or placemats. Kids will love these darling machine embroidery designs. An average size of the designs is 2 (9/16)” X 3 (5/8)” : 6823 Stitches. Special offer applies! 3. Thanksgiving Greetings 2 – You can stitch Thanksgiving Greetings 2 as gift cards to give as special gifts to your near and dears. Various greetings are available in the set designed by Emerald Originals and are offered at a substantial discount. 4. 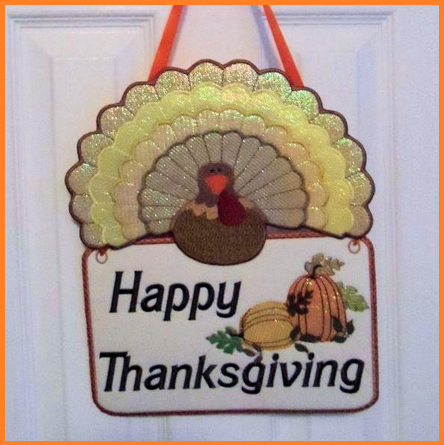 Thanksgiving Blessings – Decorate your table by embroidering runners, napkins, bread cloth and more with Thanksgiving Blessings offered by Attic Treasures. You can get available special offers on these wonderful embroidery designs. 5. FSL Happy Thanksgiving – This is a fun FSL Thanksgiving Banner, just stitch out the free standing lace designs and string them up to greet your guests. Very cute and fast! They are on sale too! 6. 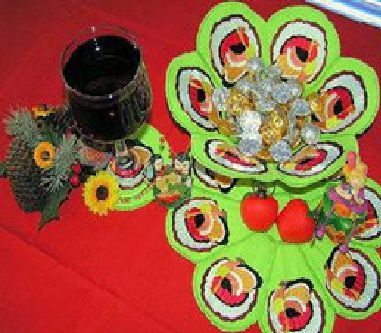 3D Turkey In The Hoop – Make this cute centerpiece for your festive table this year. Change the look totally by choosing different fabrics and thread colors. This fun embroidery project is perfect for gift giving too. Bonus offer included from the designer (Digidoodlez) when you get the 3D Turkey In The Hoop. 7. Thanksgiving Turkey Dangler – Greet your loved ones with the beautiful Thanksgiving Turkey Dangler embroidery design project. The set is designed by Sewaz Designs and is available in 5×7/ 6×10/ 8×10 hoops. Discounted for a limited time. 8. Sweet Little Pilgrims – This set is sew cute! 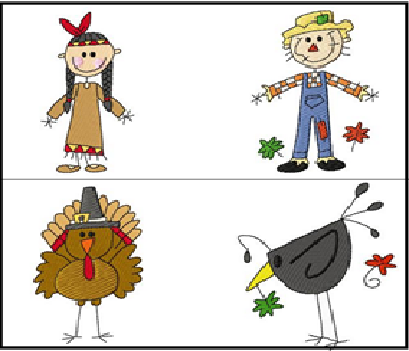 Make a cloth book to teach your little ones about the history of Thanksgiving or add an embroidery design to personalize their favorite sweatshirt or jumper for the big day. 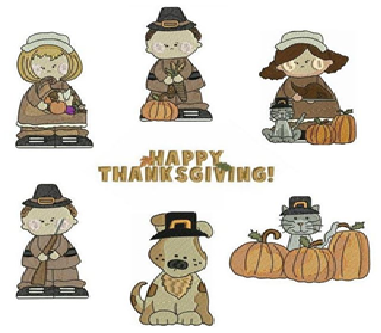 Sweet Little Pilgrims consists of 7 designs for the 4×4 hoop, by Babynucci Embroidery. 9. 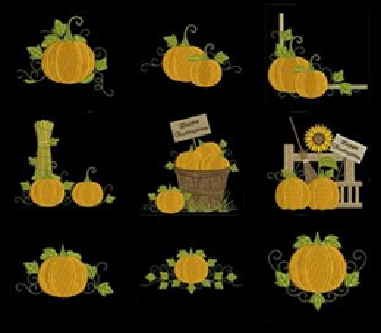 Thanksgiving Pumpkins – Decorate your home with Thanksgiving Pumpkins embroidery designs, digitized by Wind Bell Embroidery. 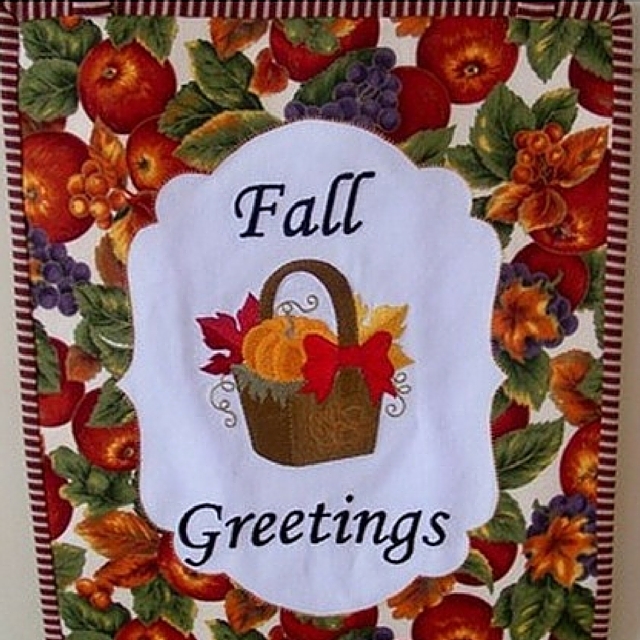 Perfect for a fall quilt, placemats, table runner, wall hanging or kitchen towels. You can also get special offers on these designs when you get them now. 10. Thanksgiving Bowl With Doily – Beautiful Applique Thanksgiving Bowl with Doily is a project by Sunshine Embroidery. You can buy this creative set to quickly and easily make this wonderful project. You can get available special offers on these wonderful embroidery designs. I know I’ve written before that I don’t do production work. I love machine embroidery and will occasionally do projects for those who ask me. For a business, though, digitizing and all the related activities keep me quite busy and my machines humming. But, how can one say no to their younger brother who is so excited about his new venture? It started as a philosophy on life and has morphed into a line of clothing and outerwear. At least on paper. When he realized, though, that I am well placed to make his dream a reality, he is ready to go now!!! I love this enthusiasm from my normally placid brother but, dude, it’s Christmas time. My schedule is booked solid until mid-January at least. Not to mention that all my machines and embroidery supplies are in shipment from Greece to California. While I don’t share his full philosophy, I see the huge potential his venture has. He will start with basic tees, hoodies and hats with simple embroidery designs created from his pop art and possibly some simple appliqué. I look forward to designing that. From there, though, he will need photo-stitch, which I don’t do, and screen printing (silkscreen) that is more my husband’s forte than mine. He’s even busier than I am. So, not only will I be helping in the design process, but I’ll also be instrumental in bringing in more people to make his design visions possible. It is probably a good thing I spent 20 years in the “corporate” world! It’s funny. He’s always been the artistic one in the family, while I was the boring office manager. My creativity was through my quilting and embroidery hobbies, while his was shown in everything that he does. It is actually a huge compliment that he sees what I do as art. He is more modern while I am more traditional, but I look forward to seeing what we can come up with together. We will be getting together later today to go over his needs. I plan on taking him to my favorite online embroidery design gallery to show him what types of things have been created with machine embroidery designs. This way, he will have a clearer understanding of what can and can’t be done without having to be the bad guy saying “no” over and over. I plan on having lots of drawing supplies on hand, which will prove to be awkward. I say that I have no drawing skills at all, but my sketches have helped on more than one occasion. My brother, as I’ve said, is an artist. Talk about facing one’s insecurities! As busy as I am, I truly am looking forward to working with my brother. He’s a very kind man without an ounce of negativity in him. Very soothing. Plus, it will be nice to introduce traditional embroidery and other fiber arts into his very modern vision. And, if we can figure out how to do it ecologically sound and under budget, we may just have a winner!